Dr. James "Jae" Edmonds has been named a Battelle Fellow, the organization's highest recognition for individual achievement in science and technology. The honor, shared by only five other Pacific Northwest National Laboratory staff, recognizes veteran economist Edmonds for his scientific accomplishments, leadership within PNNL and long record of service to multiple national and international climate science communities. He conducts his research at the Joint Global Change Research Institute, a collaboration between PNNL and the University of Maryland in College Park, Md. Edmonds, who has been at PNNL for 25 years, is a pioneer in the field of integrated assessment of energy and environment. He was one of the first to link climate science to policy and decision-making. Since its First Assessment in 1990, he has worked with the Intergovernmental Panel on Climate Change, which shared the 2007 Nobel Peace Prize. He also leads the development of the Global Change Assessment Model, known as GCAM, a model of human and natural Earth systems. GCAM is used to assess factors of economy, energy, agricultural land use, and their interactions on decade to century time scales with physical Earth systems such as the carbon cycle, atmospheric chemistry, climate, and sea level. "Jae's leadership has ensured PNNL's presence at the most esteemed integrated assessment and climate-related conferences and collaborative meetings in the world. 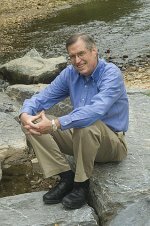 He has been called upon extensively by the Executive Office of the President, the U.S. Department of Energy, and the IPCC," said associate laboratory director Doug Ray, who leads PNNL's Fundamental & Computational Sciences Directorate. "A true collaborator and mentor, Jae is preparing the next generation of PNNL scientists to follow in his footsteps, as shown by their significant roles in the IPCC." Edmonds is chief scientist for the U.S. Department of Energy's Office of Science's Integrated Assessment Modeling Program. He has received service awards from the Department of State and DOE's Office of Science. He has testified before Congress on how advancements in energy technology can stabilize greenhouse gases in the atmosphere. See PNNL press release, "Noted economist receives highest Battelle honor."